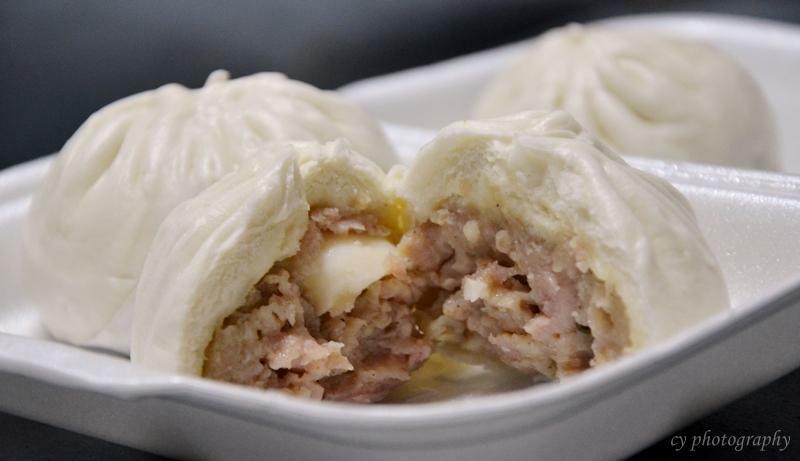 In simplicity, bao is a steamed bun like the traditional Chinese mantou, only that it usually has fillings such as chicken, pork, red bean and lotus seed paste. Interestingly, it seemed that the inventor of this light treat was Zhuge Liang, a famous strategist in his era (181-234 A.D) during the Three Kingdoms period in Chinese history. It is however with regret that most baos nowadays are factory made and it is hard to come by stalls that still hand-make this Chinese delicacy. With a history of more than 30 years in handmade baos, it would be a shame to give this stall a miss! dont worry this is not how it looks..
(+) Bite-sized proportion, took about 2 bites to finish off one, which made it a light snack. 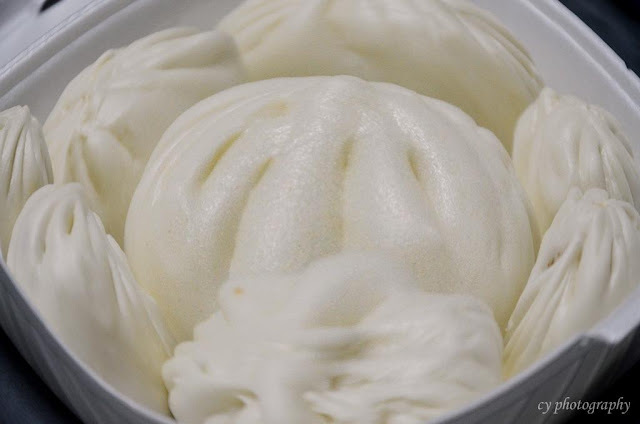 (+) The skin of the bao was thin, delicate and soft. Best of all, it was slightly chewy and 'Q'. (+) Very generous amount of char siew in each bao at S$0.60. 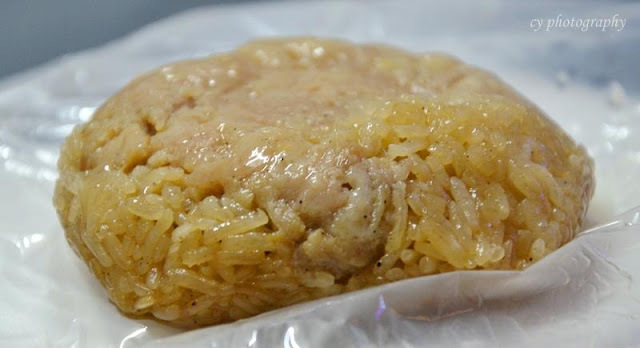 (+) Finely diced char siew went well with the mini-size which made chewing and swallowing an easy affair. (+) The char siew had a good amount of fats and complemented the fine dice, giving it a juicy bite. (-) The exterior skin of the bao was rather sticky. The paper for the absorption of water droplets after steaming, peeled off the entire bottom part of the bao. (-) The char siew tasted too sweet for me, which seemingly masked the intended barbecued flavour. (-) Despite eating it fresh, could only faintly smell the fragrance of the char siew. 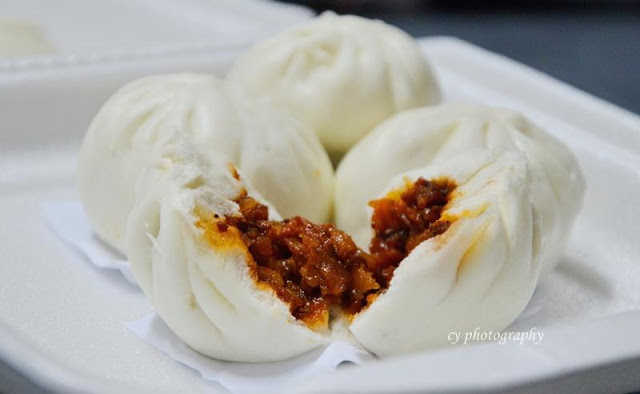 (+) The minced pork were relatively 'fatty', which made the bao very juicy. Mind the ooze! (+) Thin delicate skin just like for the char siew bao. (+) Very worthy at S$1.20/pc. Do note the da bao is about the size of the normal bao elsewhere. (-) Somehow the fragrance of the pork was lacking, which just do not give you that oomph factor. (-) Sticky skin as described above. (-) It was somewhat tasty, but nothing too special as a da bao. Oh well, you pay what you get. (+) The chicken seemed to have been beaten into a pulp, making it very soft and tender. (+) Chicken was well seasoned and marinated. (-) After trying the baos, I expected more generous meat portions at S$1.50. (-) Oily enough to give you shimmering lips and also to deter me from eating too much.